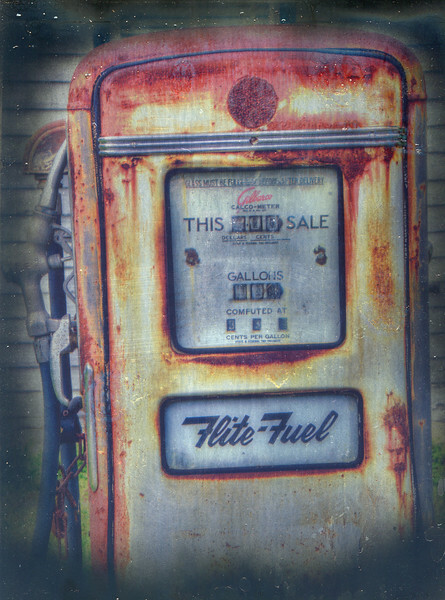 "Flite-Fuel" -- While traveling along route 11 south of Staunton, Virginia I found this old fuel pump along the roadway. I use increased the saturation of the image and transferred it onto tin using the Inkaid process. It has been a long time since gas was 33-cents a gallon.